Everything about the Reebok Men’s Running Shoes R CrossFit Nano 2.0 is oriented at enhancing your cross-training activities. The cross-trainers have an upper that is specifically designed for support purposes. The shoe’s low profile platform allows it to balance, is good for cushioning and enhances the stability of the shoe. All these features allow the user to remain quick, safe and above all stay comfortable throughout the training process. With these cross-trainers, you get an opportunity to experience speed, stability and lightweight all at once. For a precise understanding of the mind behind these shoes, here is a review of the same. This minimal drop provided for in the shoe allows you to experience the superior foot feel and responsiveness. Considering the fact that these are training shoes, the minimal drop was vital as it enhances the running gait. You feel more comfortable training in shoes that have a small heel to toe drop as opposed to those with slightly larger drops. The minimal drop will guide your feet more naturally through the steps to make for a perfect running gait. We all know that comfort is paramount when it comes to training shoe. For one to enjoy a training session, they need to feel comfortable in their training shoes. Wearing shoes with enough cushioning is one way of enhancing this experience. The Reebok Men’s Running Shoes CrossFit Nano 2.0 is equipped with the die-cut Ortholite® sockliners that ensures that the shoes remain cushioned throughout. The best thing about this is that you can remove it to accommodate orthotics. At the end of the day, you get to workout is cross-training shoes that feel comfortable and are safe to train in. Since exercising involves a lot of feet movements, you are likely to suffer from feet irritation if your shoes are not well protected. These cross-trainers adapt the use of a softer inner lining which minimizes irritation during training. The softer inner linings cuddle against your skin to protect your skin from rubbing against shoes’ material which in most cases leads to irritation. Your feet need a lot of aeration when exercising. It is part of staying comfortable. The perforated open mesh upper allows air to freely circulate to keep your feet cool and dry. There are a lot of advantages associated with this. You get to remain comfortable which is very important when training and maintain foot hygiene. The high abrasion rubber outsole increases traction and also improves durability. These two elements are very important; traction allows you to make turns on any surface without fear while durability guarantees value for money. The right word that can be used to describe these shoes is that they are platform shoes. Customers agreed on the fact that the Reebok Men’s Running Shoes R CrossFit Nano 2.0 is super comfortable, true to size, lightweight to go easy on your feet and durable. The toebox is a little big but is works to your advantage as it is good for your compound lifts and box jumps. The low cut feature adds a little bit of mobility to the shoe and the upper design is perfect lateral support and stability. 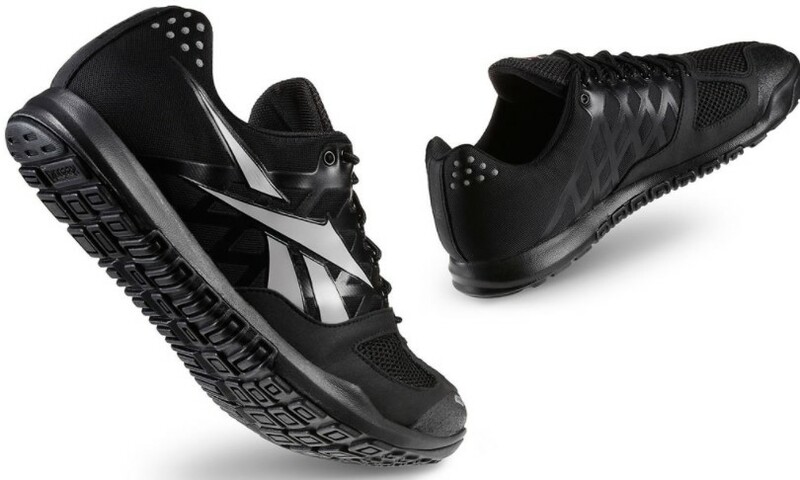 For a complete gruelling WOD in utmost comfort try the Reebok Men’s Running Shoes R CrossFit Nano 2.0. The shoes are endowed with an EVA midsole and have an optimized upper with ample cushioning that will most definitely enhance your running experience and guarantee maximum lateral stability for side to side exercising.